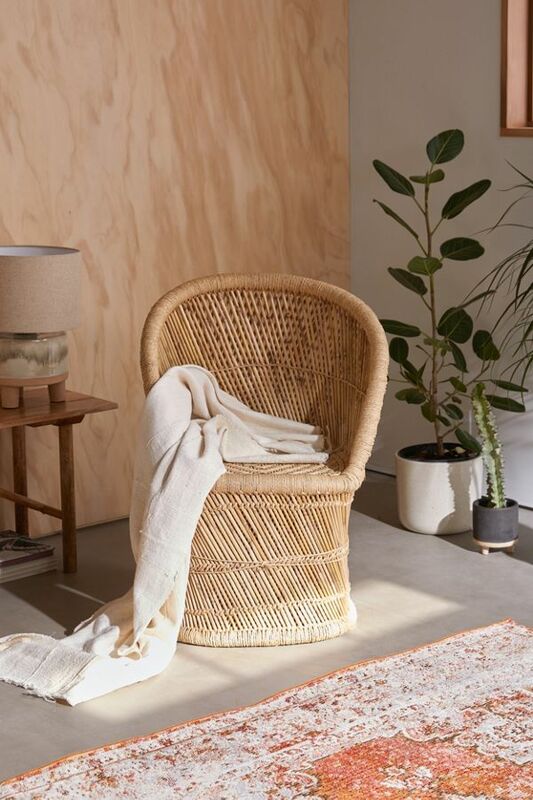 What is in your mind if you had an option of home furnishing refreshment and you are allowed to pick up a lot of discount-Urban Outfitters’? It would be so amazing for sure. 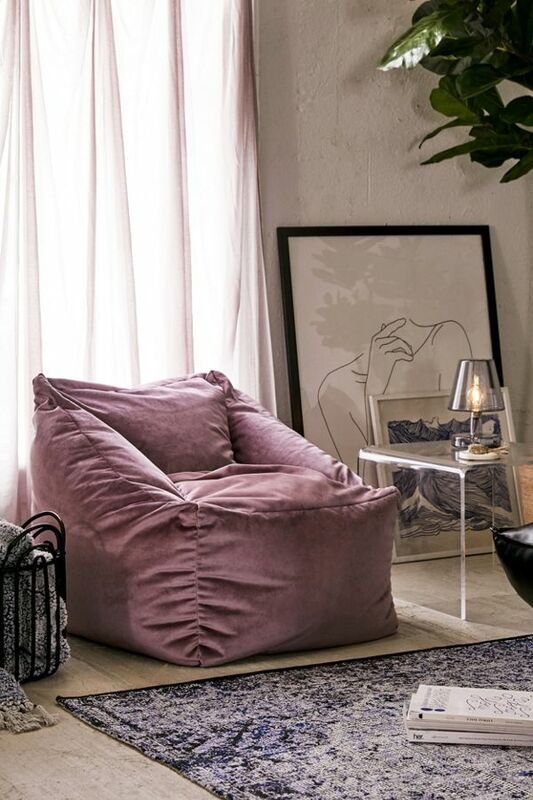 Urban Outfitters offers huge options of interior furniture pieces up to 40 percent off for your living room, lounge, bedroom, etc. Do the quick shop now as you just have limited time for this. 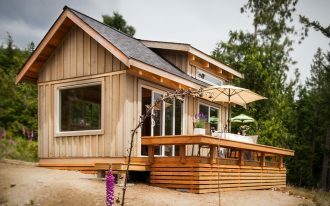 Here we want to help you to give the product options, and luckily these products are worthy functional and stylish. Let us to show you through this page. With this sleeper sofa, you can provide an instant space for visiting guest to sleep in. On the other hand, the sofa is flexibly used for the additional seat in living room or family room. 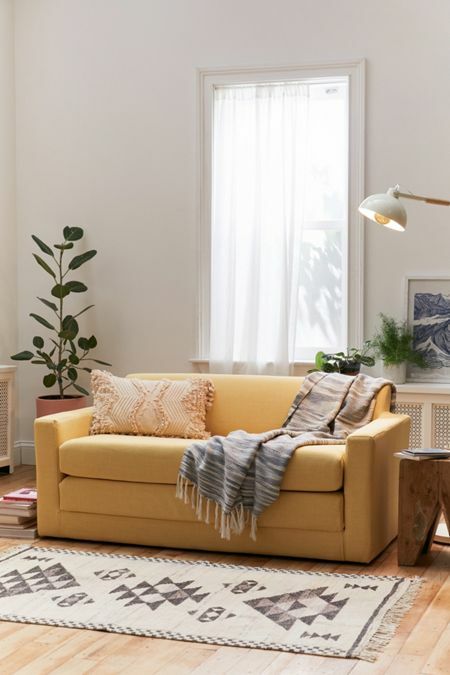 Sunshine yellow of course will bring fun and style for your space. It’s okay if you want to add some complementary pieces like throw pillow and throw blanket. What a perfect spot to curl up right? A woven wicker chair in vintage style. This can be exclusively found in Urban Outfitters. The chair is manually made from wicker and bamboo with semi-round back and cylindrical base – making the chair looks sturdy and stylish. 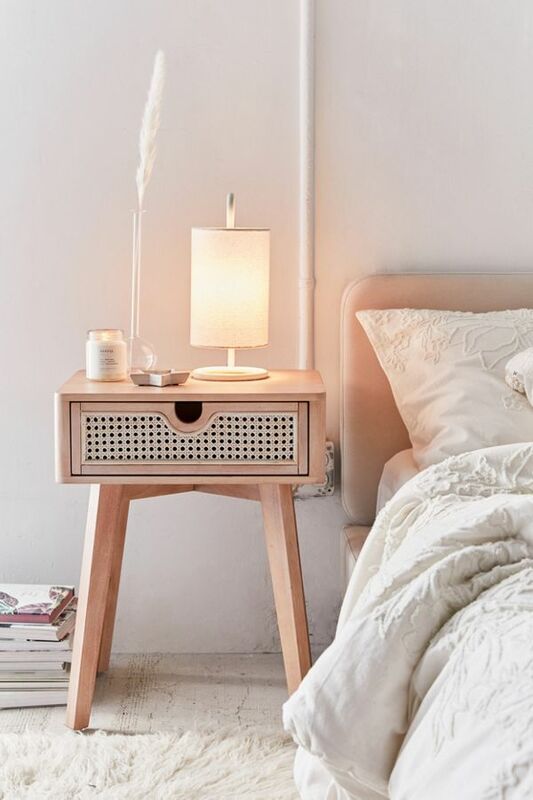 Marte Nightstand – It’s simple and clean look, potentially brings minimalism to the room. Based on design, this piece of furniture is supported with a woven rattan drawer and finished with tapered legs for midcentury modern look. 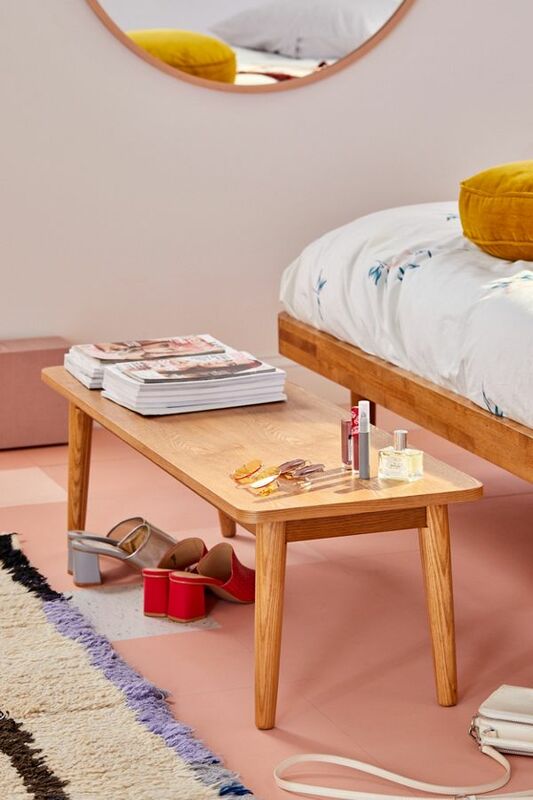 It’s better if you pair it with Urban Outfitters’ Meiko platform bed. Perfect. Need something chic but warm feel? 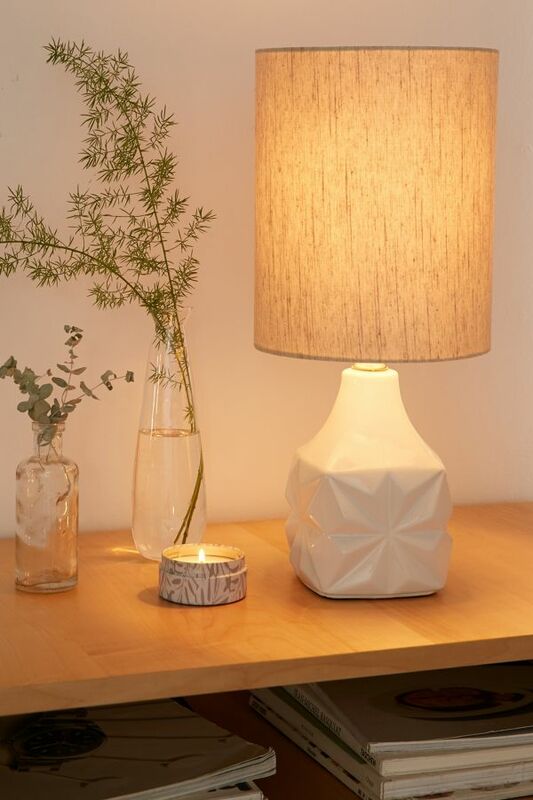 Mandy table lamp designed by Urban Outfitters is the most perfect choice. The light fixture has ceramic stand plus a fabric shade offering the dimly light effect, giving warm and romantic nuance to your room. 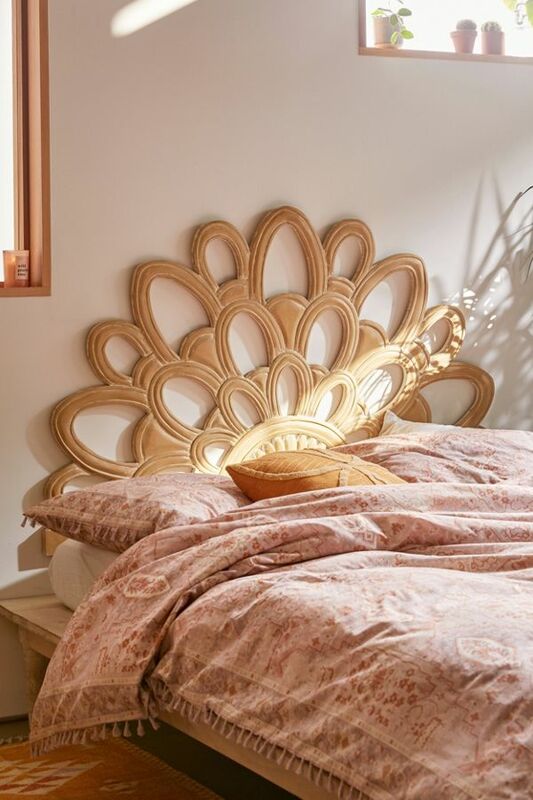 Magdalene Bed frame with floral-shape headboard. 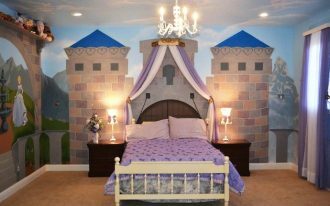 This furniture piece gives a fantastic focal point on headboard. The bed’s head looks like a blooming flower, making you always be cheerful when waking up in the morning. 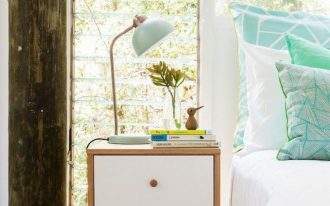 Pair the bed with any couch for the prettiest piece in your bedroom. Camila bench seat. 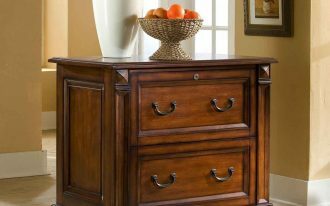 It’s simply made of best light wood with visible wood grain plus blonde finishing. 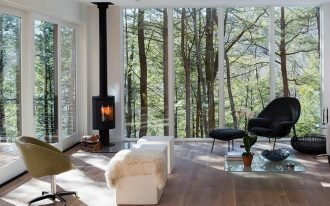 Its minimalist design supported with tapered legs seemingly tends to be a midcentury modern piece. 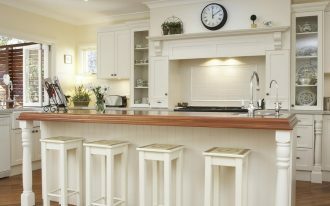 Feature this with a sofa slipcover or short-apron seat. This would be so perfect. 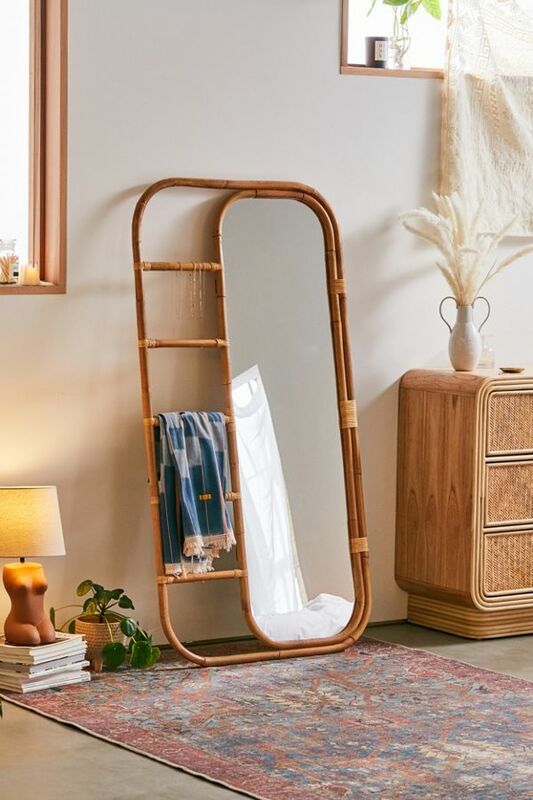 Lia leaning mirror – It’s a full-length piece made of rattan for all frame and exclusively designed as Boho functional accent. One of frame’s side is extended one where you’ll find five rungs for hanging your essentials. 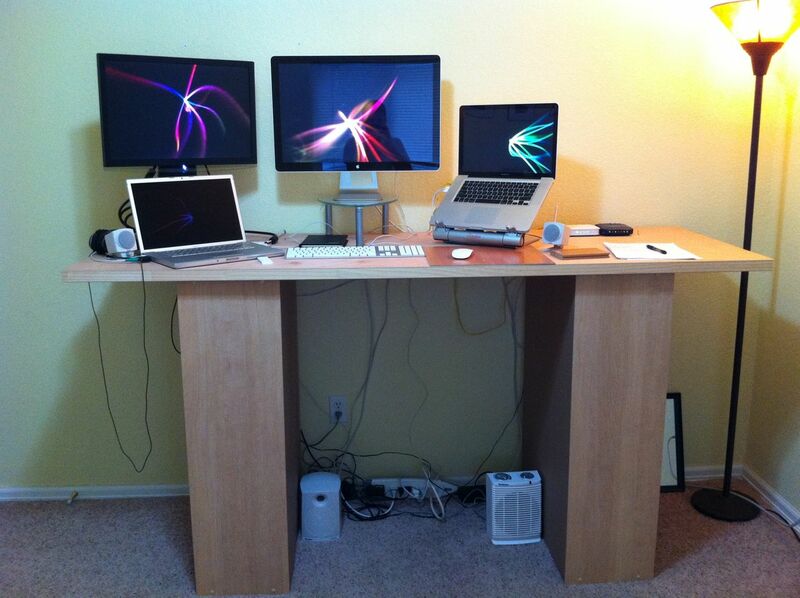 So stylish, simple, and functional right? Improve your lounge with this frameless seat. At glance, the seat seems like a beanbag but this is higher and fluffier, providing much more comfort. 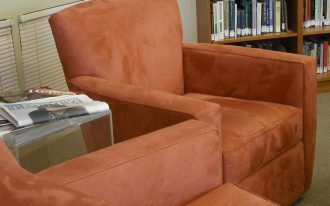 The rich velvet upholstery also adds style and direct color accent to your space. 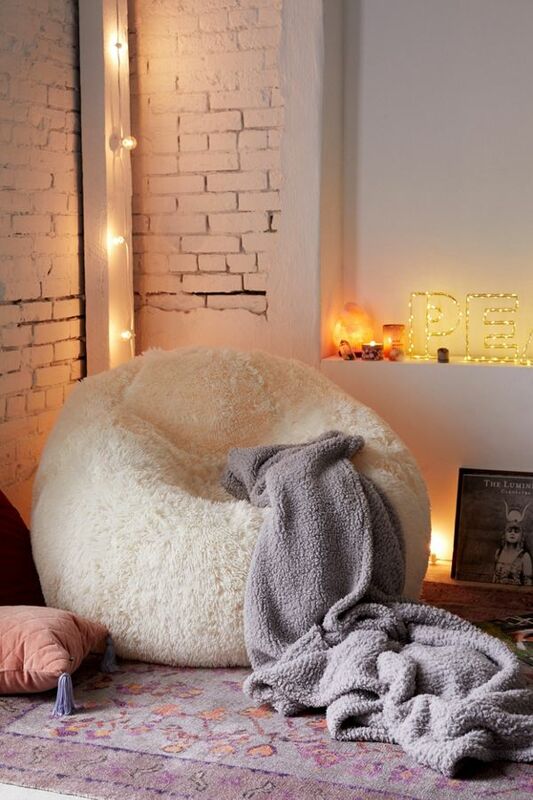 Minnie Faux chair – covered with soft and warm white fur, the chair provides so-fluffy spot to sit in, driving any users, including you cozy to keep lazily curling up for hours. The piece also reminds us about a 90s nostalgic focal point. 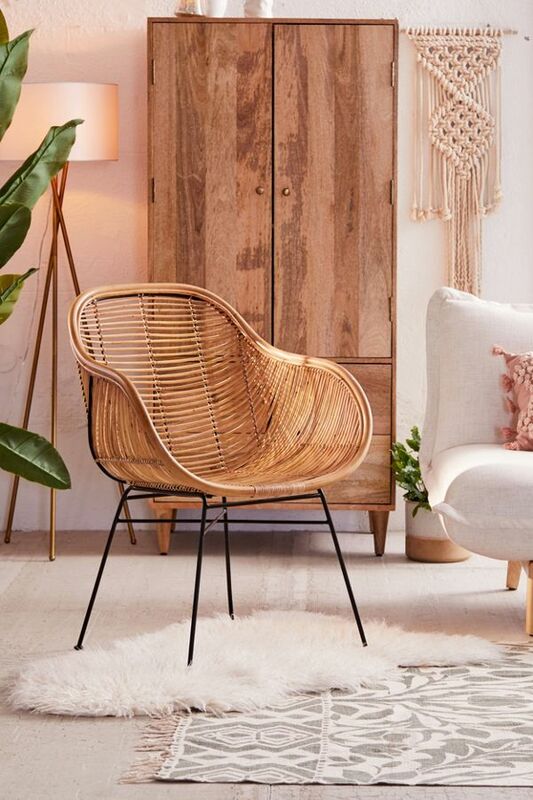 Lillian cage-like chair made from rattan. The chair is supported with curved rattan strands framed with metals. The overall curve shape makes you comfortable and looks so modern. Tiny metal legs possibly fit any small rooms.